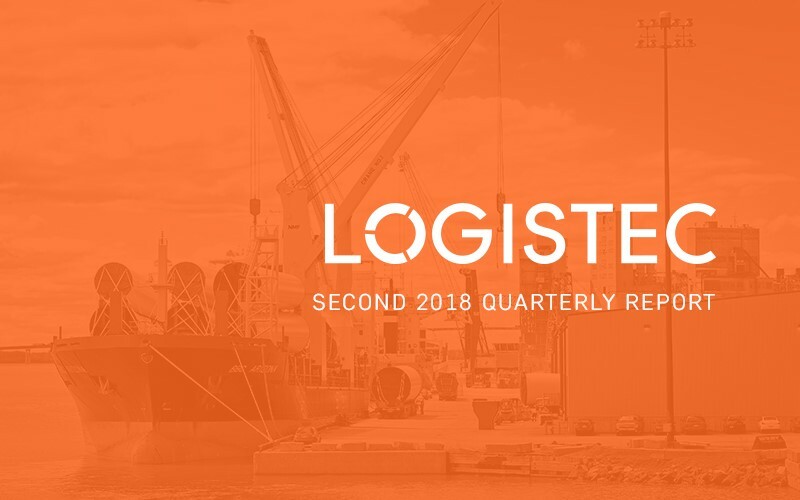 Montréal, Québec, August 9, 2018 – LOGISTEC Corporation [TSX: LGT.A and LGT.B], a marine and environmental services provider, today announced its financial results for the second quarter and first six months ended June 30, 2018. In the second quarter of 2018, consolidated revenue totalled $149.2 million, an increase of $47.3 million or 46.5% over the same period in 2017. Revenue from the marine services segment rose by 62.0%, from $52.9 million to $85.7 million, while revenue from the environmental services segment amounted to $63.5 million, an increase of $14.5 million or 29.7% over the second quarter of 2017. Cargo handling activities were very strong in the second quarter, and we also benefited from our first full quarter with Gulf Stream Marine, Inc., the new Gulf terminals we purchased in early March. Our teams have integrated well and we are confident that we will achieve positive synergies going forward. We are pleased with our marine services results. FER-PAL Construction Ltd., which, like Sanexen, is very affected by the seasonality of operations. For the second quarter, this was further exacerbated by a late start to the rehabilitation season in our largest market due to weather and delayed contract awards. That being said, operations are now in full swing and will remain as such until November. During the first six months of 2018, consolidated revenue increased to $231.6 million, compared with $161.9 million for the first half of 2017. The loss attributable to owners of the Company amounted to $7.6 million, compared with a profit of $3.3 million for the same period last year. This translated into a total basic and diluted loss per share of $0.60, of which $0.58 was attributable to Class A Common Shares and $0.64 was attributable to Class B Subordinate Voting Shares. For the same period in 2017, diluted earnings per share totalled $0.25, of which $0.24 was attributable to Class A Common Shares and $0.27 was attributable to Class B Subordinate Voting Shares. “The outlook remains positive. Both our marine and environmental services segments are expected to have a strong finish, each benefiting from acquisitions made over the last year. We continue to invest in our talent to pursue our growth strategy while integrating recent acquisitions”, indicated Madeleine Paquin, President and Chief Executive Officer of LOGISTEC Corporation. LOGISTEC Corporation is based in Montréal (QC) and provides specialized services to the marine community and industrial companies in the areas of bulk, break-bulk and container cargo handling in 37 ports and 61 terminals across North America. LOGISTEC also offers marine transportation services geared primarily to the Arctic coastal trade, short-line rail transportation services, as well as marine agency services to foreign shipowners and operators serving the Canadian market. Furthermore, the Company operates in the environmental services segment where it provides services to industrial, municipal and other governmental customers for the trenchless structural rehabilitation of underground watermains, regulated materials management, site remediation, risk assessment, and manufacturing of woven hoses. The Company has been profitable and has paid regular dividends since becoming public and payments have grown steadily over the years. A public company since 1969, LOGISTEC’S shares are listed on the Toronto Stock Exchange under the ticker symbols LGT.A and LGT.B. More information can be obtained on the Company’s website at www.logistec.com. For the purpose of informing shareholders and potential investors about the Company’s prospects, sections of this document may contain forward-looking statements, within the meaning of securities legislation, about the Company’s activities, performance and financial situation and, in particular, hopes for the success of the Company’s efforts in the development and growth of its business. These forward-looking statements express, as of the date of this document, the estimates, predictions, projections, expectations or opinions of the Company about future events or results. Although the Company believes that the expectations produced by these forward-looking statements are founded on valid and reasonable bases and assumptions, these forward-looking statements are inherently subject to important uncertainties and contingencies, many of which are beyond the Company’s control, such that the Company’s performance may differ significantly from the predicted performance expressed or presented in such forward-looking statements. The important risks and uncertainties that may cause the actual results and future events to differ significantly from the expectations currently expressed are examined under “Business Risks” in the Company’s annual report and include (but are not limited to) the performances of domestic and international economies and their effect on shipping volumes, weather conditions, labour relations, pricing and competitors’ marketing activities. The reader of this document is thus cautioned not to place undue reliance on these forward-looking statements. The Company undertakes no obligation to update or revise these forward-looking statements, except as required by law. Additional information relating to our Company can be found on SEDAR’s website at www.sedar.com and on LOGISTEC’S website at www.logistec.com.